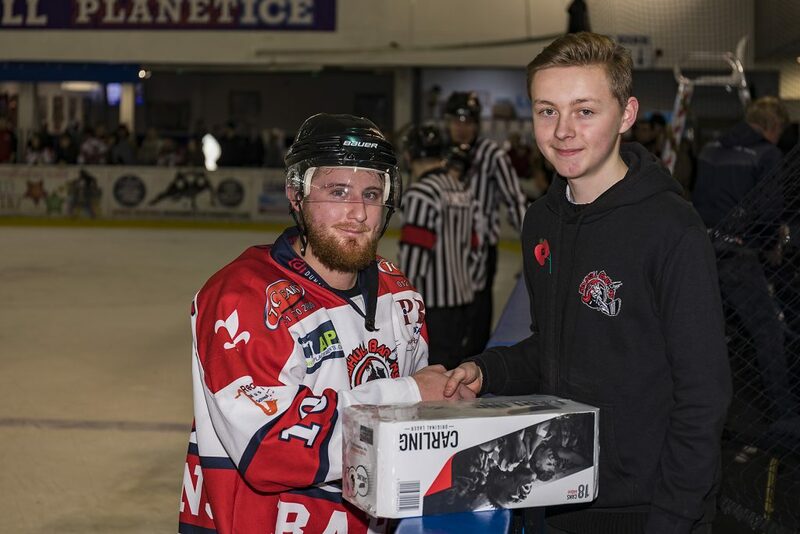 On Saturday the TC Cars Solihull Barons would consider themselves disappointed to go down to a less than flattering scoreline against a well drilled, league leading Sheffield Steeldogs side having been their match for at least the first half of the game. 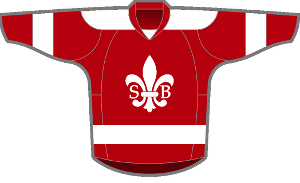 After a frenetic first five minutes which saw the Sheffield forwards pressure the Barons end while the home side played on the counter, it would be one such counter which got the opening goal of the game, Elliott Farrell providing the puck to Filip Supa for Solihull’s first goal of the night dead on five minutes. 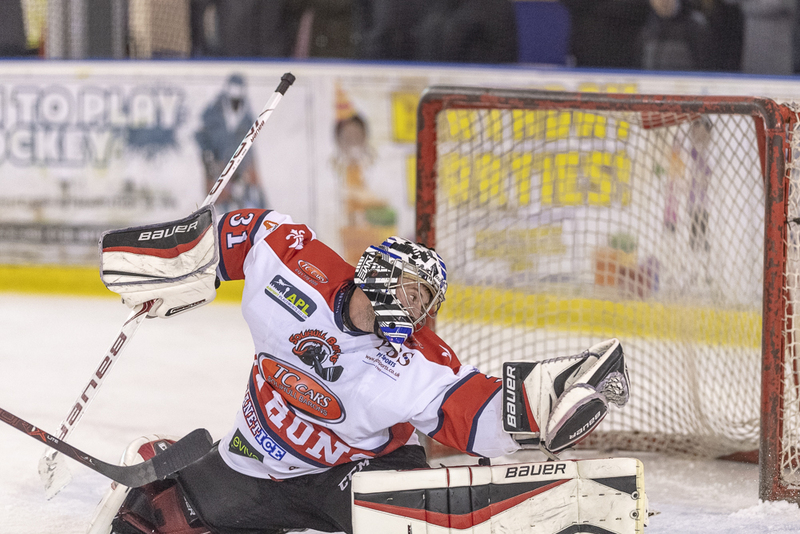 Within sixty seconds the Barons had doubled their lead as Adam Brittle fired a speculative shot toward the Steeldogs net with the Sheffield keeper misjudging his glove hand positioning to give Solihull number two. 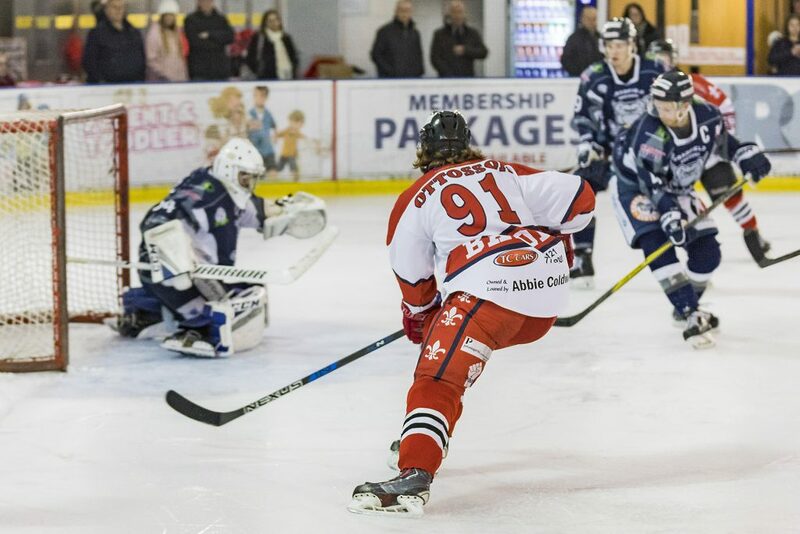 The remainder of the period was fairly well balanced, but a powerplay at the end of the period would allow the visitors to claw a goal back as Milan Kolena’s shot rolled of the pads of Sam Hewitt and into the Solihull net. 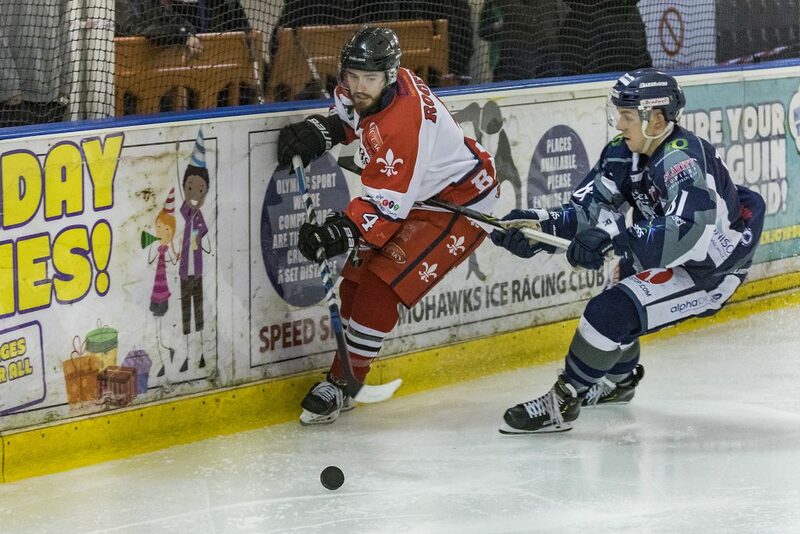 Three minutes into the second period and the Steeldogs got their equaliser as Andrew Hurst slid the puck under Hewitt via a shot from the right hand boards. 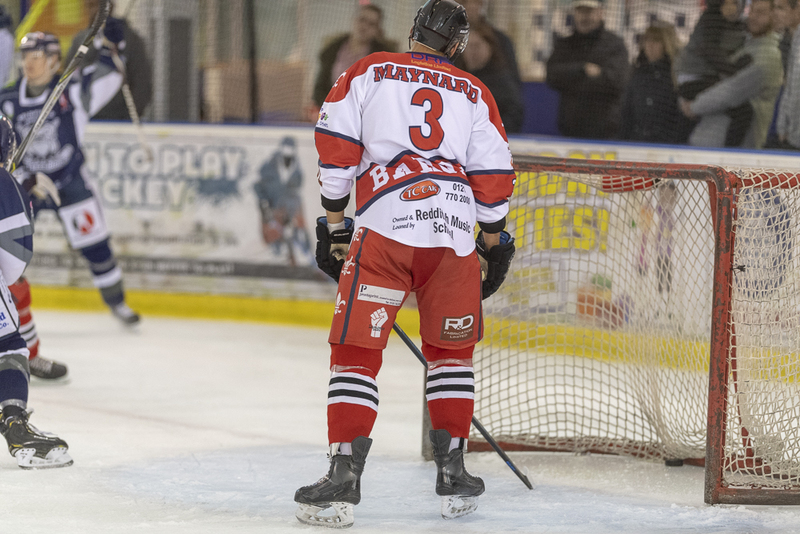 As the period wore on the ice started to tilt towards Sheffield and when a soft clipping penalty was called on Marcus Maynard, Ash Calvert took his chances to get the go ahead goal. This was followed within a minute by Adrian Palak taking his time round a sprawled Sam Hewitt to extend the visitors buffer to two goals. 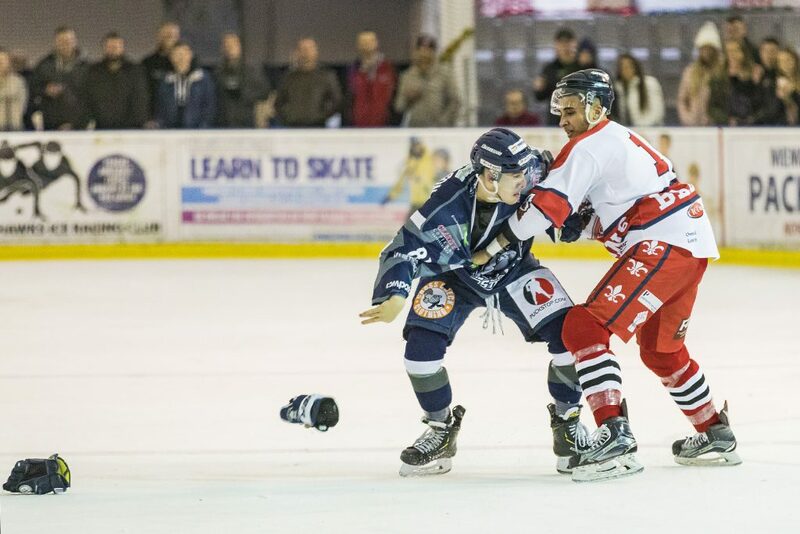 The Barons would continue to push when chances came there way but there was to be no further scoring before the second period ended in a flurry of scuffles. The final period continued in much the same vein, the Steeldogs edging the balance of play with the Barons pushing hard when given the chance for a breakout. 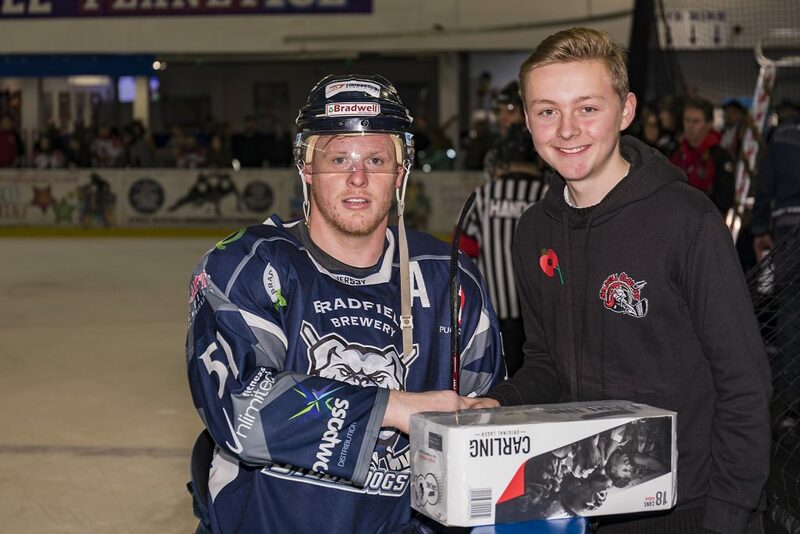 The Steeldogs further extended their lead on as Thomas Relf scored from close in through a busy crease for Sheffield’s fifth goal. With the clock running down the Barons chances of putting a bit of shine on the scoreline disappeared with a couple of late penalties with the Steeldogs converting these into goals via Ash Calvert and Nathan Salem to give a perhaps somewhat flattering 7-2 scoreline in favour of the visitors. 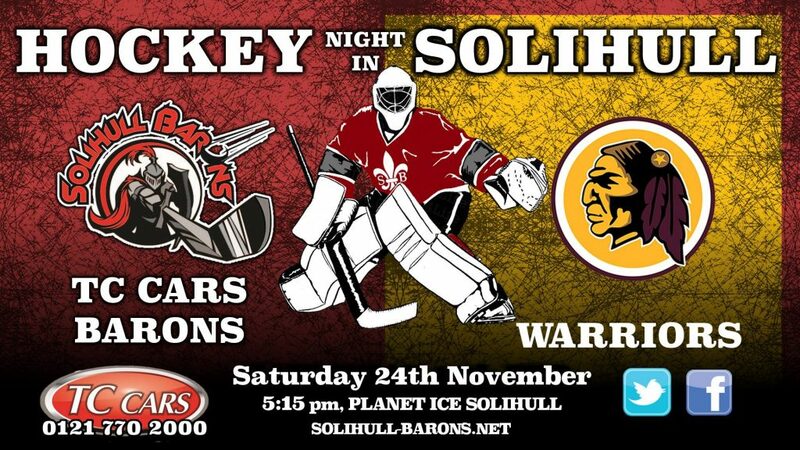 The Barons are away at Blackburn next Sunday, 18th November before returning to home ice on Saturday 24th to take on strong rivals the Whitley Warriors in what have historically proven to be closely fought physical ties. Face-off : 5:15pm.